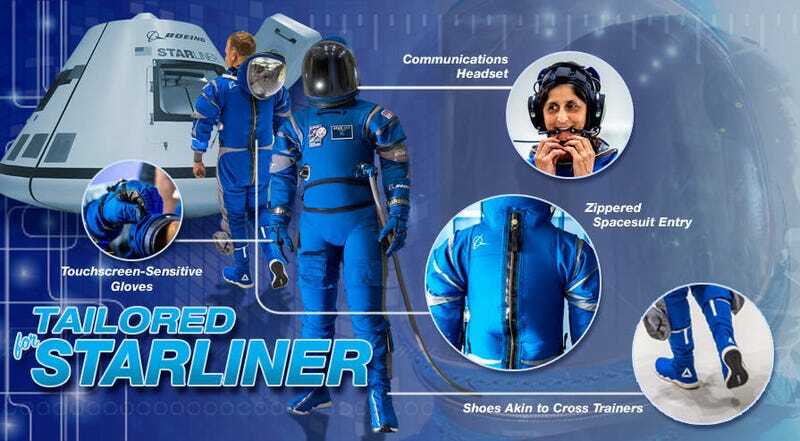 Someone at Boeing has been on a serious Kubrick kick, as evidenced by the new spacesuits for its NASA Starliner astronauts. The blue suits, which were revealed today, combine a retro flare with a modern feel. Pretty close! The major difference is that the 2001 suits had bigger helmets with sloping visors, while the new Starliner suits feature the badass domed glass visor that’s reminiscent of the Apollo era. But it’s not just about looks. 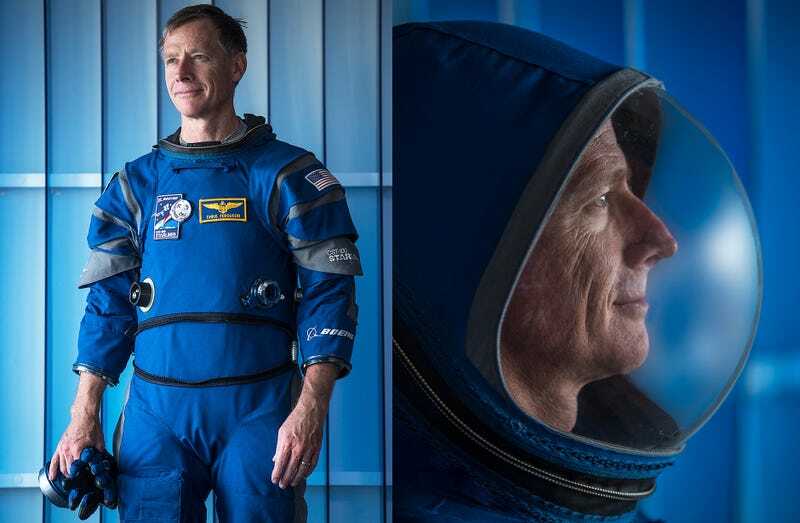 While there’s no telling how the suits would hold up against a maniacal robot, they’re more than equipped to handle the conditions of the Starliner, which will bring astronauts to the International Space Station in 2018. New features include an upgraded helmet, which is incorporated into the spacesuit, touchscreen-sensitive gloves, and built-in ventilation. 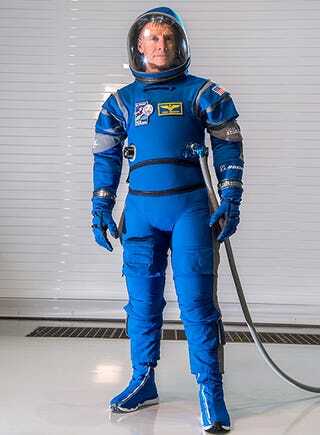 Boeing was fastidious about the suit’s details. Astronauts were instructed to do some sort of jazzercise ritual in and out of a Starliner mockup to test comfort and flexibility. Alas, it worked.